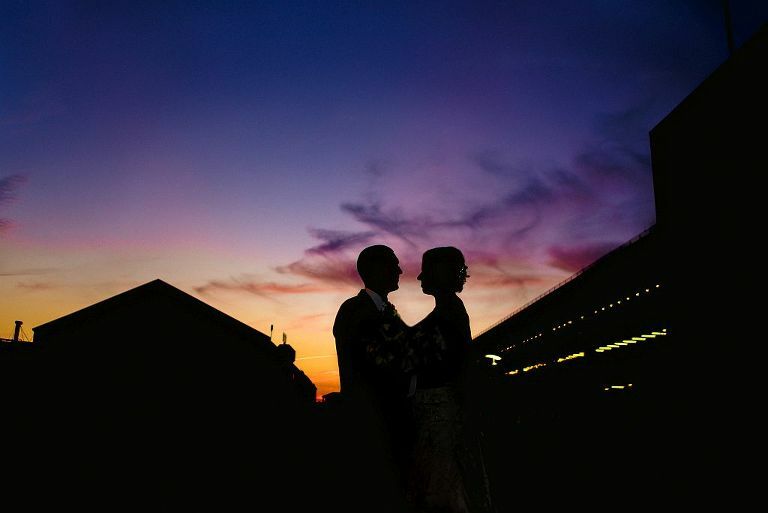 Destination Weddings at Lake Gaston, Henrico, N.C.
Lake Gaston, which spans the Virginia and North Carolina borders, is an idyllic destination for an outdoor wedding. This pristine, 34 mile-long lake provides plenty of picturesque, naturally green settings for memorable ceremonies. Lake Gaston is a dream wedding destination in terms of photographs since virtually everywhere you focus, the leafy green of trees and the shimmer of sunshine on water provide stunning backgrounds. Autumn weddings set amid fiery fall colors are unforgettable too.The lake itself is the result of Kerr Dam, which was built in the mid-20th century on the Roanoke River. A popular but unspoiled vacation spot, the lake beckons water sports enthusiasts as well as fishing aficionados. Public and private golf courses, fine dining and cultural events combined with a relaxed atmosphere make Lake Gaston a mecca for revelers and nature lovers alike. 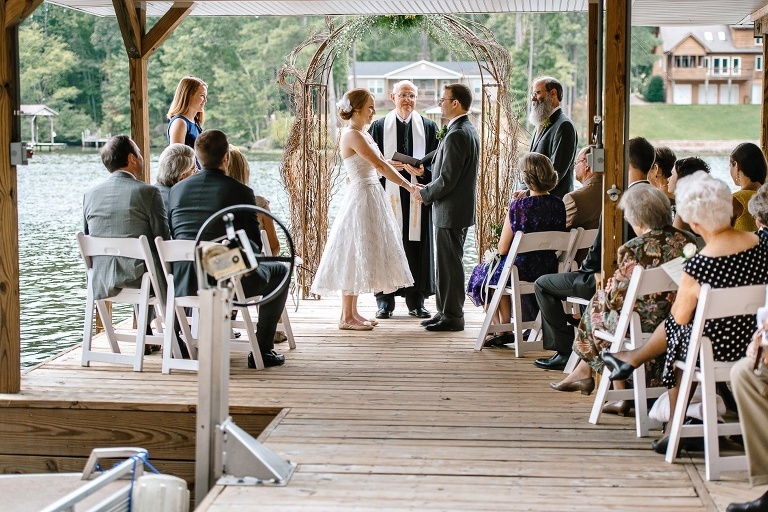 Less than a 4-hour drive from Washington, D.C., and an easy, 2-hour drive from Virginia Beach, Va., Lake Gaston is a haven for couples that want to be married in a naturally lovely outdoor location. Lake Gaston has awesome aesthetic appeal that puts it high on my list of great photography locations. It also offers plenty of creative opportunities for planning a truly personalized ceremony. Old growth evergreens, verdant landscaping and the flickering blue palette of the lake provide the ideal setting for epic wedding albums. One of my favorite Lake Gaston wedding destinations is the little town of Henrico, N.C. Couples who dream of getting married amid park-like grounds with fabulous water vistas will find the location in Henrico that fulfills their visions. 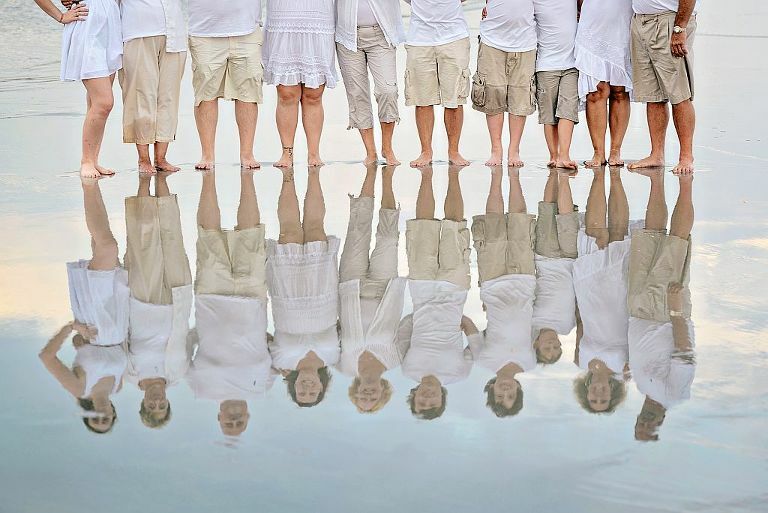 The Edwards Beach, Pea Hill Bay, and Jimmy’s Creek areas offer several excellent options for destination weddings. Weddings along the lake need not be rustic although the nature scape does offer idyllic scenery for down-to-earth ceremonies. Simple elegance works beautifully. The juxtaposition of bridal lace and leafy greens creates crisp clarity that translates into memorable photographs. 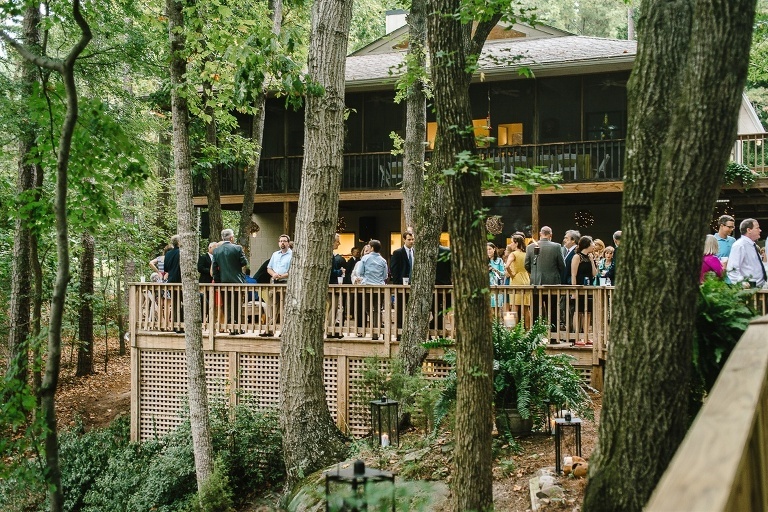 The blue tones of the lake and bright florals are the colored threads that set Lake Gaston weddings apart from the more muted tones of some indoor venues. 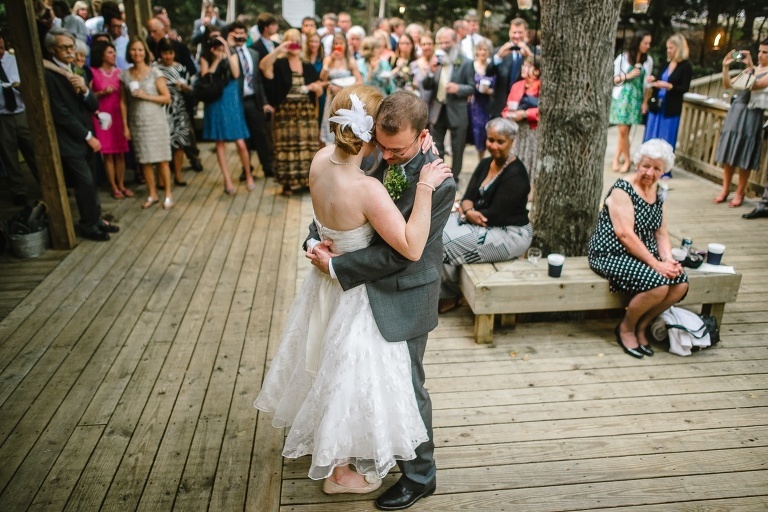 The fresh air and informal atmosphere at the lake put wedding guests at ease. 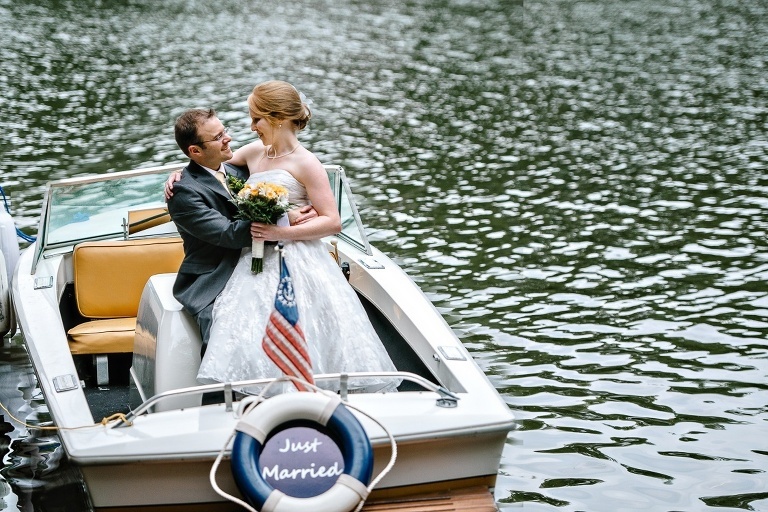 Creative touches like a silver canoe filled with iced beverages and vignettes of vibrant flowers set the scene for fabulous photographs that reflect the naturally celebratory flavor of a Lake Gaston wedding. The groom and his attendants feel their nervousness slip away as they as the soft rhythms of the lake surround them. The bride and her mother share a quiet moment before the ceremony begins. The father guides his daughter toward a rustic, grapevine arbor where her groom awaits. Water sparkling with sunshine, a radiant bride and a gallery filled with brightly dressed guests instill lakeside ceremonies with a sense of completeness, producing golden opportunities for timeless photographs. 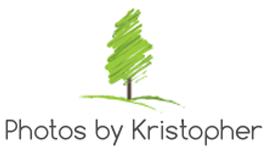 Photos by Kristopher Proudly serves Wilmington, NC, Bald Head Island, Ocean Isle Beach Wrightsville Beach, Figure Eight Island, & Holden Beach. 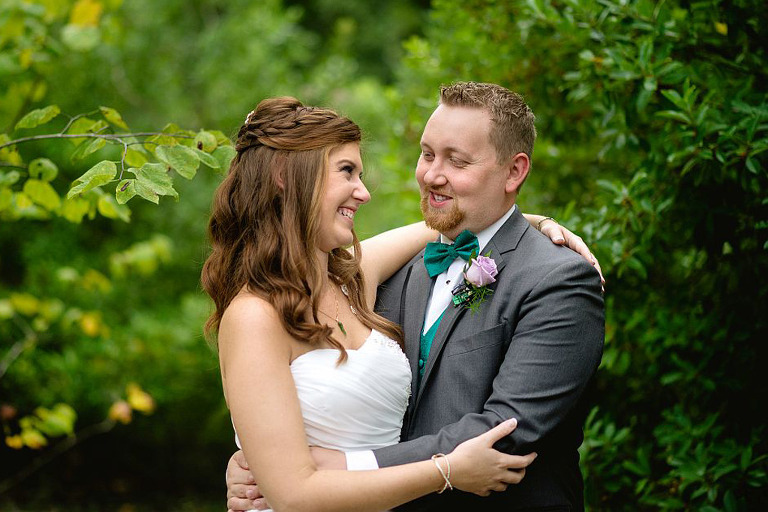 © 2019 Wilmington NC Wedding Photographer.